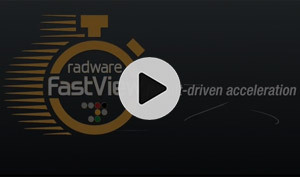 To help increase your business' online revenue, number of page views and customer satisfaction, Radware has developed its new FastView technology, a best-in-class Web Performance Optimization (WPO) solution integrated into our Alteon ADC. When it comes to your applications performance-every second counts. To help increase your business' online revenue, number of page views and customer satisfaction, Radware has developed its new FastView technology, a best-in-class Web Performance Optimization (WPO) solution that improves and transforms FEO and is integrated into our Alteon ADC. Eliminate web wait today! We're here to help and ready to talk. We'd love the opporunity to speak with you and learn how Radware can help your business. Please complete the form below and a representative will contact you shortly. © Radware Ltd. 2014 All Rights Reserved.